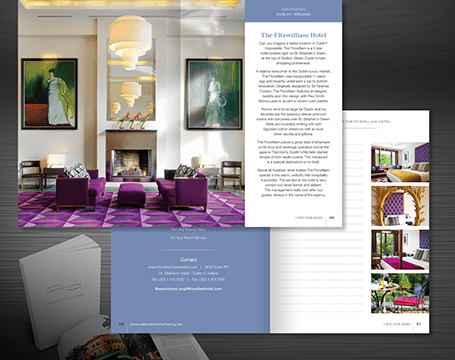 Exhibiting the Fine Art of Luxury Hospitality demands more than the standard marketing piece. 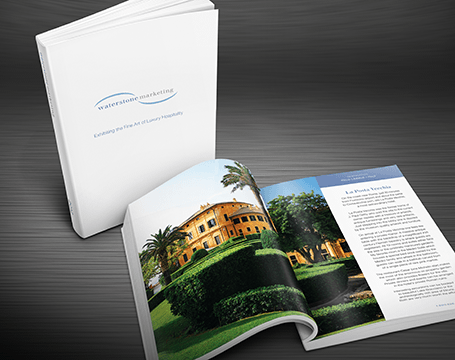 So in keeping with Waterstone's tagline, Page2 worked with the client to seek the best format in which to display their collection of upscale properties, then developed a design strategy that reflects an air of stately sophistication. 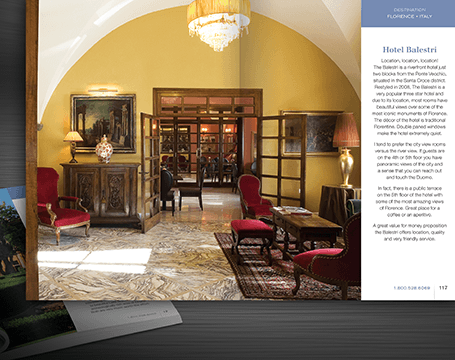 While compact at 5" x 7", this 128-page book's premium materials and onpage design deliver an intrinsic value that cannot be overlooked.